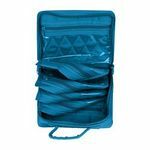 Ideal for scissors needles laying tools thread embellishment packs, and other small tools or accessories. 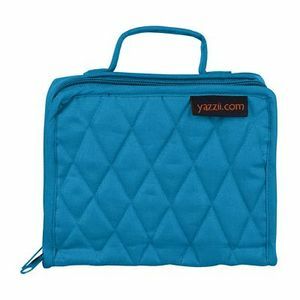 A multi-functional organizer that can also be used for toiletries medication cosmetics and jewelry. Dimensions (closed) 5inx6.6inx2.6in. *Notions in image are not included (bag only).